Many children and even the elders find it difficult to give up certain habits and things they have. However, giving up or sharing what people have always archived bigger rewards. Princess Azzurra had a bigger reward for sharing. Read her story. Once upon a time, a princess called Azzurra lived in a castle. She had everything to play but she was alone. From toys, books, sweets and foods, she got everything she needed in the castle, except she had no friends. She used to play alone with her dolls. Azzurra loves sweets and she would never give even a piece of candy to other animals. There lived a huge and wild dragon outside the castle. It frightened the fellow animals. It was a fire dragon and the dragon makes everyone run for their lives by emitting fire. The dragon’s nose emits smoke. There were rabbits, duck, dove, mouse, lion and many animals lived in the castle. Fearing the dragon, all animals hide themselves not to appear in front of the dragon. 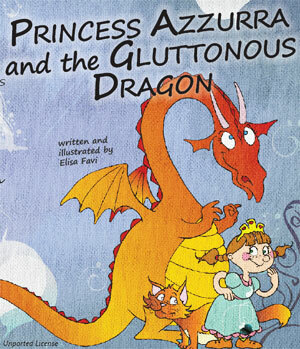 One day, Princess Azzurra read a book about the fire dragon and learned a lot of interesting facts about dragon. She discovered that dragon love candies and giving the candies is the only way to pacify the dragon. While other animals living in and around the castle insisted Azzurra to give the candies to dragon, she did not want to share it. She had a huge box of candies, but she hesitates to give even one candy to the dragon. However, she finally decided to give candies to the dragon. She threw a few candies towards dragon. How the dragon reacted? Did Azzurra get any friends in the castle? Was the dragon pacified? The story is very simple, yet made interesting with painted pictures. This is completely an illustrational story for kids. 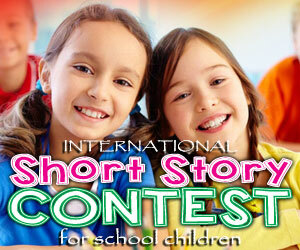 The short ebook story is narrated with beautiful pictures and simple words. Children can develop their reading skills as well as vocabulary by reading these short ebooks. You can read the story online or download it in your computer or laptop. Besides the sweet little story, there are few entertaining and educational puzzles given at the end featuring Azzurra and the dragon.